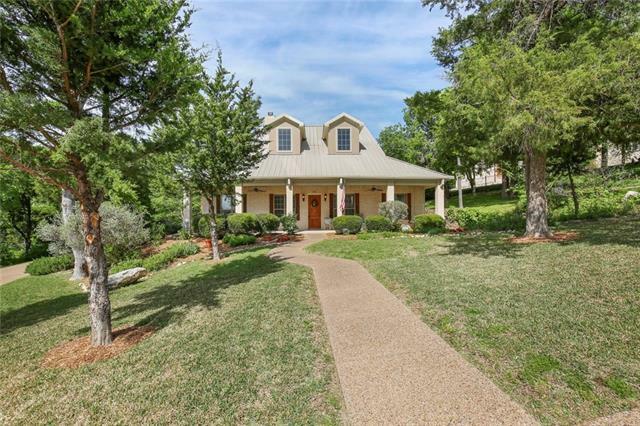 All Cedar Hill homes currently listed for sale in Cedar Hill as of 04/24/2019 are shown below. You can change the search criteria at any time by pressing the 'Change Search' button below. If you have any questions or you would like more information about any Cedar Hill homes for sale or other Cedar Hill real estate, please contact us and one of our knowledgeable Cedar Hill REALTORS® would be pleased to assist you. "Live like royalty in this luxurious mansion w every amenity. Breathtaking finish-out! 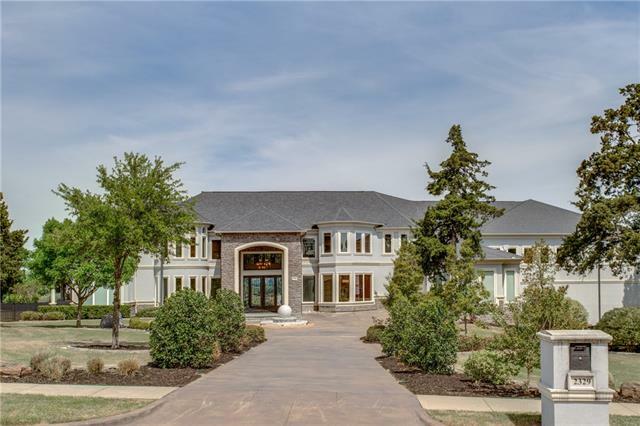 This custom built 3 story home is loaded with amenities, including elevator, ballroom, a theater, game room, library, 2 spacious guest or in-law quarters, private champagne room, covered patio & outdoor pool. Elegant master suite w dual showers & closets. Much, much more! Indoor elevator takes you from the garage to 2nd floor (ballroom) and 3rd floor suites." 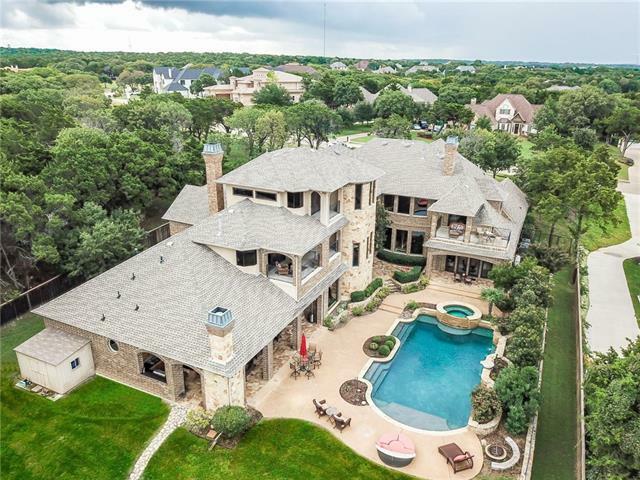 "Compelling estate on the corner, treed 2+ acres in gated Lake Ridge Estates has circle drive, porte-cochere, grand entrance, custom wood flooring for the most discerning buyer. Chef s kitchen is divine with, granite and an over-sized island. Second-level grand living room with fireplace and bar ready for guests. Master suite impresses with a one-of-a-kind open shower boasting a private atrium and separate sauna. Front balcony, covered back patio, in-ground swimming pool with pro landscaping an"
"Live like you have always dreamed in this amazing Mediterranean masterpiece. An entertainers paradise, this exclusive property provides privacy and security. Located in a gated community on over 2 acres this home will WOW you with spectacular hilltop views that span over 20 miles. Over 10,000sf with one of a kind charm featuring Italian Marble, wine cellar, study, theatre and a dance studio. The attention to detail is highlighted the moment you enter. Lush landscaping, balconies and an oversized"
"Magnificent Mediterranean home with exquisite architectural details that make it a stand out in the gated community. Golf club and Lake Joe Pool make this a very desirable area to live in 6 bedrooms, 6 full baths, 2 half baths, 5 fireplaces, media room, a study, wonderful outdoor living areas, in ground gunite pool, formals, magnificent master suite with luxury spa and onyx bath,Kitchen that leaves nothing to be desired with all the room and extras that could be needed for that gourmet cook for "
"9429 sq. 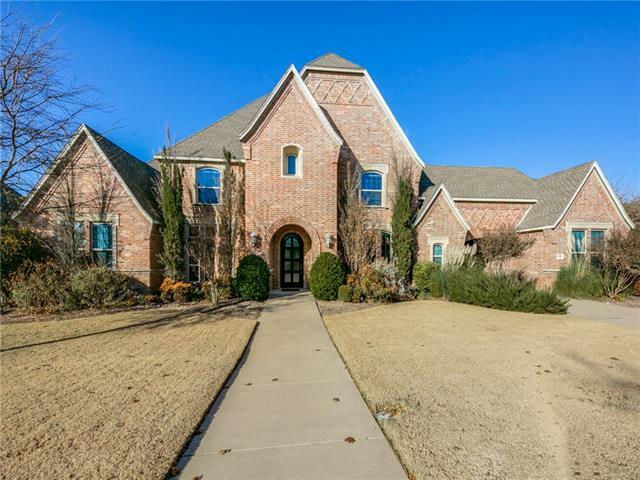 ft. single family residence, brick veneer, 5 bedrooms, 5 full baths and 3 half-baths, two story, 2-car garage, built in 2005, on 3 plus acres, in gated community"
"Beautiful 10 Bedroom home with a nice view of trees on the hill, each room has a full bath and one Jack and Jill bath. Master Bath has 3 Vanities, 3 walk-in closets, a two person jacuzzi tub. Built-in wall jewelry case and many other features. Mother-in-law suite with full bath and a separate guest room with full bath downstairs. Wet bar, study, and large formal Living room. Large utility room with sink, counter, and cabinets. 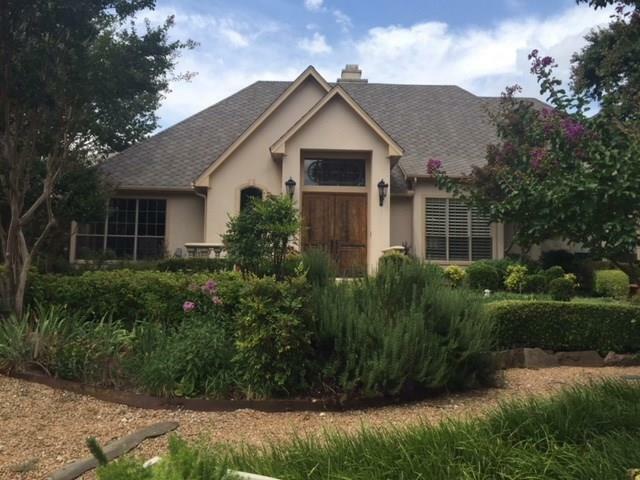 Upstairs, front balcony with french doors overlooking the scenery of "
"One of a kind custom luxurious resort style home in gated park like settings ! . Private ,architectural beauty situated on approx 2 acres Entertainers dream home with multiple living and dining areas . Expansive open floor plan with soaring ceilings with high quality finishes, fixtures and flooring . Split master with views, beautiful flooring and secluded space is a perfect spot for some much-needed contemporary glam! Gourmet kitchen for connoisseur of food. Stunning windows shows off the view"
"BUYERS STOP! 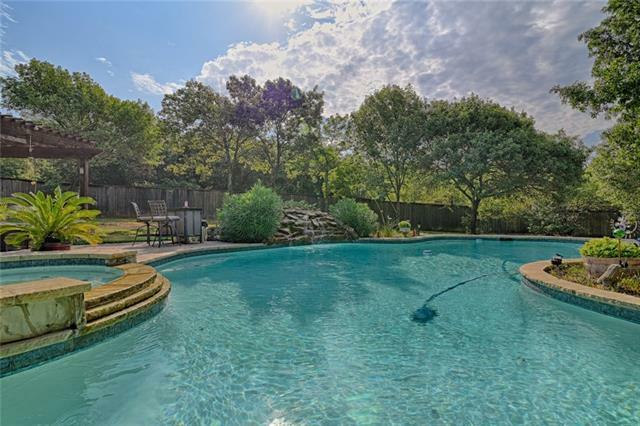 **THIS 5000 SQ FT HOME PRICED IN THE $690,000 RANGE IS SURROUNDED BY MILLION DOLLAR PROPERTIES** PARK-LIKE SETTING IN EXCLUSIVE GATED COMMUNITY* PROPERTY SITS ON 1 ACRE HEAVILY TREED LOT BACKING TO SECLUDED GREENBELT* INCREDIBLE BACKYARD OASIS WITH IN-GROUND GUNITE POOL, WATERFALL FEATURE, HOT TUB & DOUBLE PERGOLA WITH BUILT-IN GRILLING STATION* GOURMET KITCHEN BOASTS KITCHEN AID STAINLESS STEEL APPLIANCES, GRANITE C-TOPS, ISLAND WITH PREP SINK, BUTLER'S & WALK-IN PANTRY* LARGE LIVI"
"BEAUTIFUL COUNTRY FRENCH HOME. GREAT CURB APPEAL NICE BRICK AND STONE COMPLETE WIT WROUGH IRON DOORS. STUDY HAS GREAT BUILT INS.GORGEOUS GRANITE, HUGE ISLAND GREAT WORK SPACE. WONDERFUL OPEN PLAN GREAT FOR THE ENIRE FAMILY OR ENTERTAINING. GAMEROOM, MEDIA ROOM AND 3BEDROOM'S UP WITH A COVERED BALCONY." 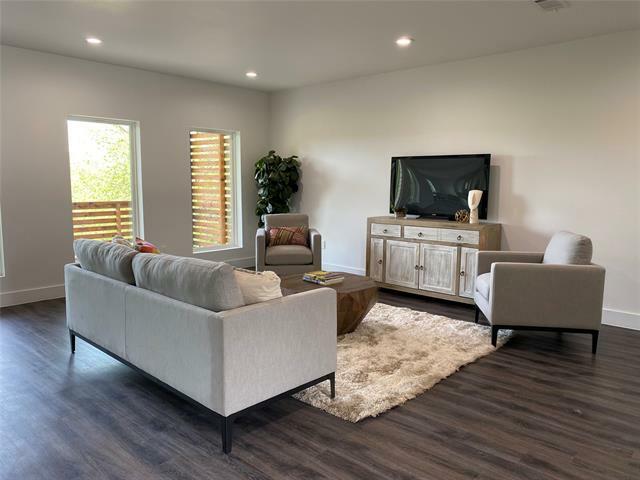 "This newly built home offers a large open floorplan featuring 5 bedrooms, 3 full bathrooms and 2 half bathrooms: Home hosts hardwood floor in all Bedrooms, Porcelain tile in Living, Dining and Kitchen area. Faux beams in Kitchen, Living and Dining Room. Faux window blinds in all rooms, granite countertops in the Kitchen, and Bathroom Vanities. Large Sunroom overlooking the beautiful large backyard. Three car garage with large driving way. This beautiful new build is a must see!" "Prime location. 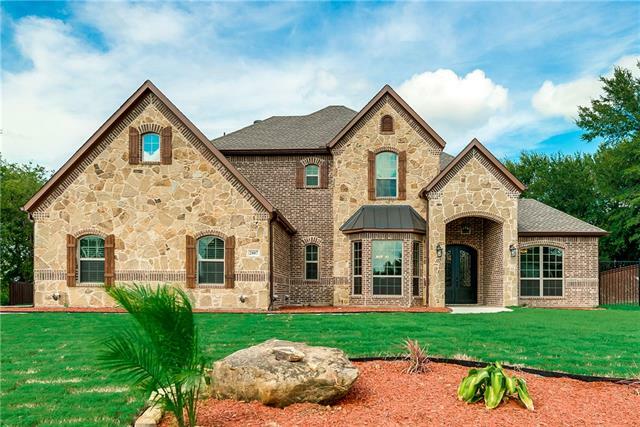 You'll want to call this place home from the second you see the granite & wood floors. The living room has a fireplace and breakfast nook that leads into the gourmet kitchen with SS appliances. The master suite comes equipped with dual-sided fireplace into the luxury master bath with jetted tub, huge shower, his-and-hers vanities, & walk-in closet. The game-room has a luxury bar. The media room is wired for audio & video and carpeted for sound quality. Some furnishings are negoti"
"Wow! New Price Reduction! 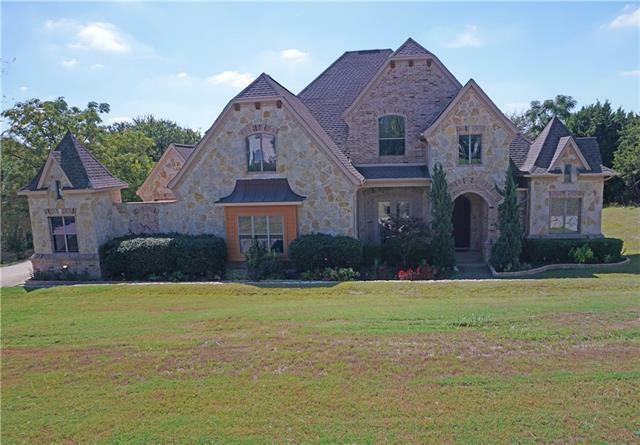 Custom Gated Community, In the Hills of Lake Ridge! Walk into a Fabulous Entry with Tall Ceilings, Wood Door Facing and Spiral Stairway. Super Split Floor Plan with Master Bedroom down and a 2nd bedroom down. Relax under the Covered Patio and View the Breathtaking Park-Like Backyard! Home Features Refinished Hand Scraped Redwood Rich Dark Hardwood Floors. Kitchen with Granite Counter Tops, Island with Power, Stainless Steel Appliances, Double Oven, Built in Microwave, a"
"This immaculate, professionally-designed 2-story private community home invites comfort, and exudes modern elegance. The 4 bedrooms, 2.5 bath, Game room, Media room includes a stylish finishes providing a perfect setting for relaxing and entertaining. The open layout makes your home the perfect place for family entertainment. Other special highlights include a charming gas fireplace, rich exposed brick, chic recessed lighting. 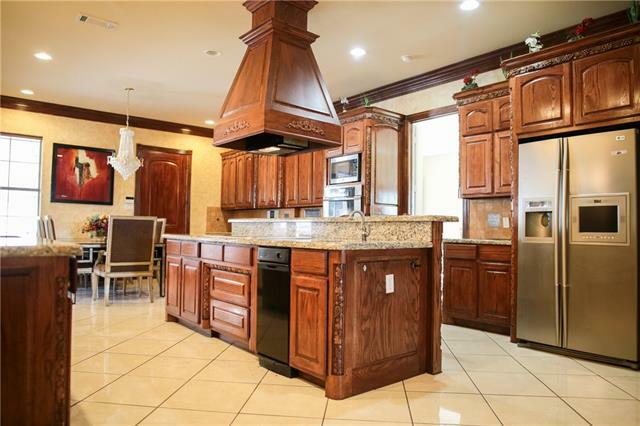 The gourmet kitchen will inspire your inner chef with its granite cou"
"Stunning Modern Home on Wooded, Serene 1 Acre Lot in Gated Summit - Lake Ridge! Beautiful combination of Clean, Modern lines with Rustic Wood finishes. Nothing short of spectacular. Showcase curb appeal, picture windows frame the wooded outdoor living area featuring flagstone fire pit and patio. 2 Masters. Upstairs Full Marble Finish out with see-through fireplace, freestanding tub, and swanky high polish silver fixtures! Gourmet Kitchen boasts tons of natural light, ample granite c-top space, "
"Welcome home to this stunning porte cochere home in a gated community. A spiral staircase welcomes you into the home with the formal dining to the right and a formal living with fireplace to the left. Family room is open to the gourmet kitchen with granite, large island, lots of cabinets, SS appliances and a gas cooktop for the cook in your life. There is also a mudroom with more cabinets for storage. An office, master retreat, and a 2nd bedroom are downstairs. Upstairs you will find 3 more"
"FABULOUS 4Bed 3.5Bath 4Liv 2Din 3Gar home featuring Granite Counters in ALL wet areas, Stainless Steele Appliances, Recessed Lighting, Ceramic Tile, Granite Breakfast Bar, Hand Scrapped Wooded Flooring, Stone Fireplace, Fresh Paint, Neutral Carpeting, Burl Wood Cabinets with Molding, Master Bath features a Garden tub with Jacuzzi spouts, Double-Wide Separate Shower, Granite Counters with Dual Vanity, Over an Acre Lot with great curbside appeal, over-sized backyard perfect for entertaining all i"
"MOTIVATED SELLER! Plenty of room to spread out in this home positioned on a fenced wooded acre with circle driveway. 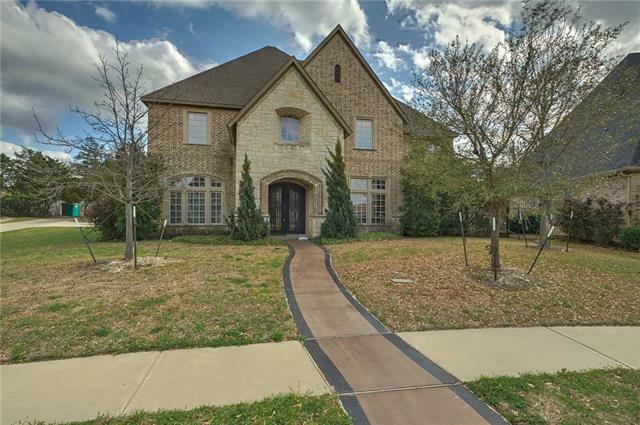 Located in the much sought after master-planned community of Lake Ridge. Easy access to major highways and less than 25 miles from downtown Dallas. 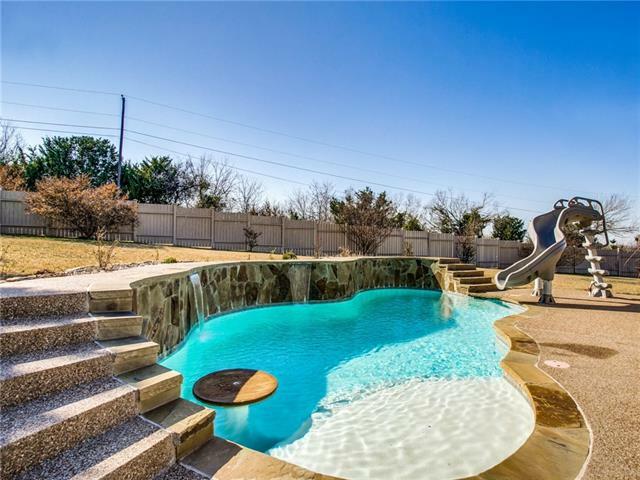 Sparkling pool, enormous screened patio and well-appointed media room provide a perfect setting for fun family life, as well as entertaining. First floor master, eat-in-kitchen, custom finished study, dual staircases, multiple living a"
"Beautiful custom home on the hill, with multiple balconies overlooking gorgeous views of the community and surrounding hills, situated on almost 2 acres, ready for the new owners to landscape with their own personal touch. Spacious 5 bdrm w an optional 6th bdrm that would make for a great addl living, office or 2nd master, 2 large living areas plus a media along w 2 dining rooms makes for a perfect place for entertaining. Each bdrm has an attached bath, along with an addl guest bath downstairs. " 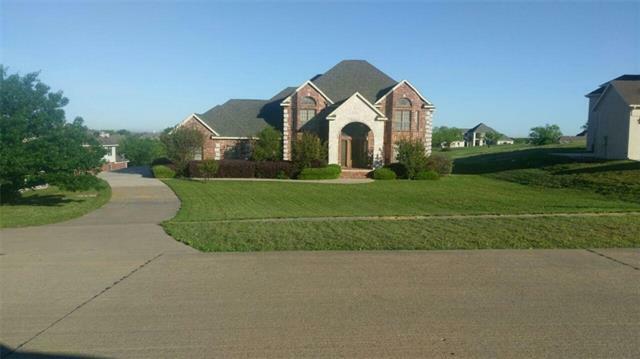 "This gorgeous home is on 1.1 acres in a beautiful community. 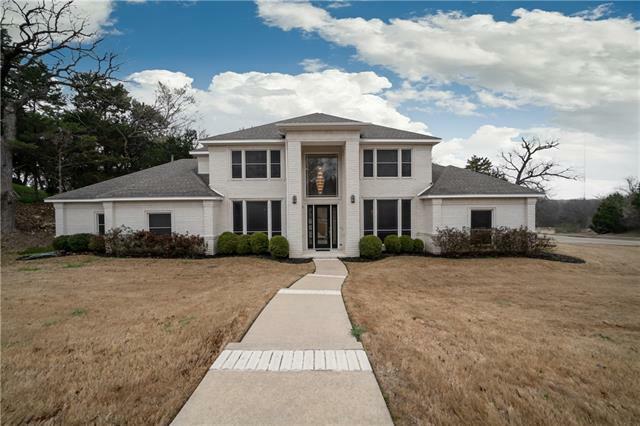 Your own Hollywood in Cedar Hill, Texas. Perfect for a large family. This could be considered a 4,5, or 6 bedroom depending on your needs. You can work from home in this lovely office, entertain out back, or just relax and enjoy the view. You never have to leave home.!!!! Come see for yourself." 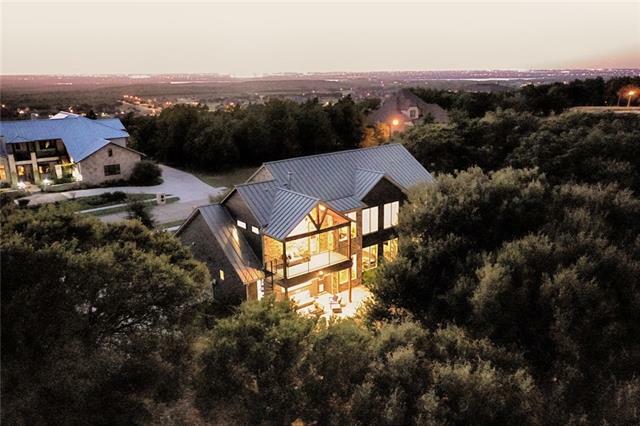 "Stunning Hill Country House with views & inviting private gardens for this custom home in Lake Ridge. Tucked away at the edge of the Escarpment & a greenbelt, this large home with over 3400ft of living space has 4bdrms, 4bths, 2living rms & much more. The kitchen is ready for your culinary skills with modern stainless steel appliances including a warming oven drawer and a butlers pantry ready to serve your guests at the King's table in the formal dining room. The master suite has the largest clo"
"New Construction Complete! 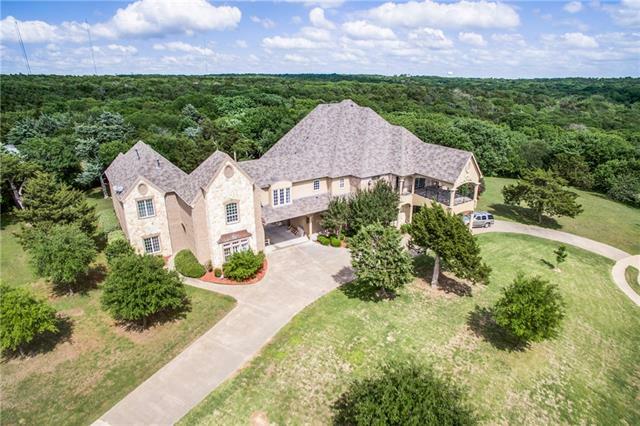 4 bed, 4 1.5 bath, study, 3 living areas to include media room and game room, 2 dining, butlers pantry with wine cooler, balcony overlooking almost half acre. Master and 2nd bedroom down with full bathroom along with study and .5 bath, Balcony viewing treed lot." "Want a truly special home? 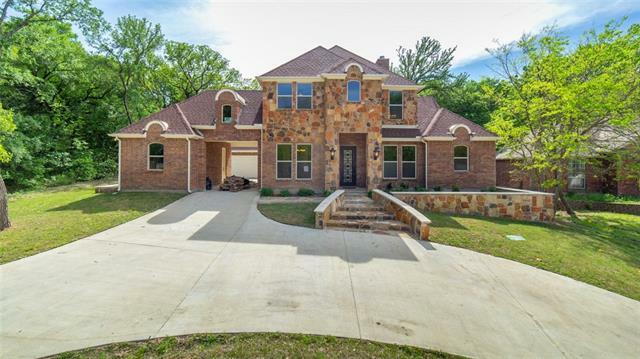 This custom architect designed home overlooking Joe Pool Lake in Lakeridge is the answer!. This home features open concept, modern design, high quality appliances, amazing views, and no one will have a home like this! This brand new home extra features such as a chemical injection for foundation stabilization, green designing features, and so much more. You need to see this to appreciate the views, construction, and design. 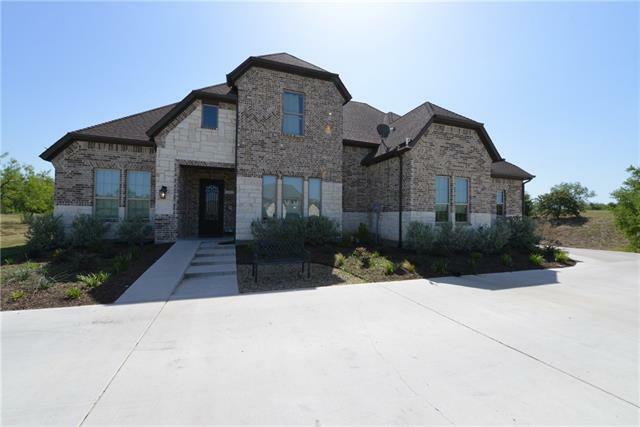 Brand new and ready for you to make it yours"
"A custom designed one-owner home with a breathtaking entrance. Beautiful high ceiling, natural lighting everywhere, open floor plan, clean architectural lines, and an abundance of hidden storage. It contain elements of good design styles to mix and match into your own signature look. Large open first floor and recently updated chef's kitchen with double ovens. Two bedrooms up, two bedrooms down. The master is an owners retreat with a huge bath, double sided shower entry, and a grand his and her "
"This is a must see barely lived in Home. 5 bedrooms and 3 full bathrooms makes this home perfect for your growing family. Open concept layout with large living open to a beautiful Kitchen with ample counter and cabinet space. Master bedroom suite with garden tub, separate shower and HUGE walk in closet. Game and media room upstairs is perfect for entertaining family and friends. Super close schools, shopping and entertainment. Come see this one today, you do not want to miss out."